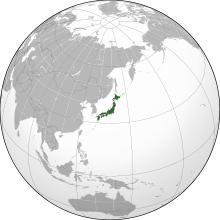 Japan (Japanese: 日本; Nippon or Nihon ; formally 日本国 Nippon-koku or Nihon-koku, lit. "State of Japan") is an island country in East Asia. Located in the Pacific Ocean, it lies off the eastern coast of the Asian continent and stretches from the Sea of Okhotsk in the north to the East China Sea and the Philippine Sea in the south. The kanji that make up Japan's name mean "sun origin", and it is often called the "Land of the Rising Sun". Japan is a stratovolcanic archipelago consisting of about 6,852 islands. 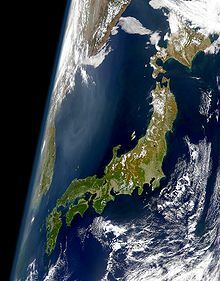 The four largest are Honshu, Hokkaido, Kyushu, and Shikoku, which make up about ninety-seven percent of Japan's land area and often are referred to as home islands. 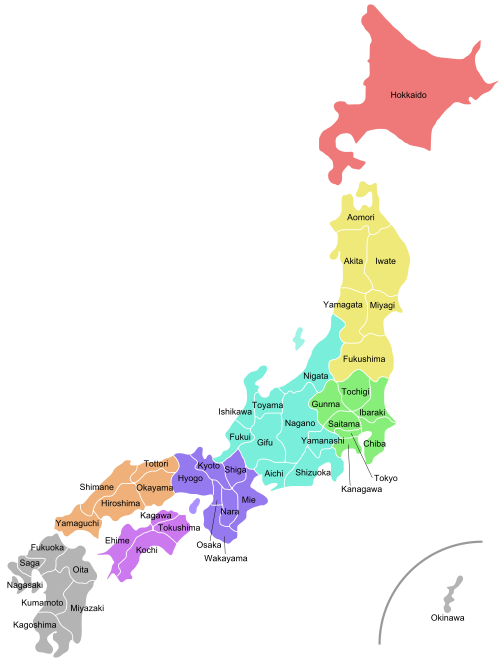 The country is divided into 47 prefectures in eight regions, with Hokkaido being the northernmost prefecture and Okinawa being the southernmost one. 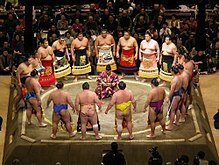 The population of 127 million is the world's tenth largest, of which 98.5% are ethnic Japanese. 90.7% of people live in cities, while 9.3% live in the countryside. About 13.8 million people live in Tokyo, the capital of Japan. The Greater Tokyo Area is the most populous metropolitan area in the world with over 38 million people. 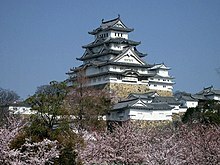 The English word Japan possibly derives from the historical Chinese pronunciation of 日本. The Old Mandarin or possibly early Wu Chinese pronunciation of Japan was recorded by Marco Polo as Cipangu. In modern Shanghainese, a Wu dialect, the pronunciation of characters 日本 Japan is Zeppen [zəʔpən]. 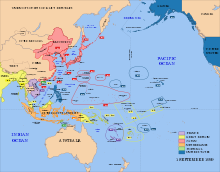 The old Malay word for Japan, Japun or Japang, was borrowed from a southern coastal Chinese dialect, probably Fukienese or Ningpo – and this Malay word was encountered by Portuguese traders in Southeast Asia in the 16th century. These Early Portuguese traders then brought the word to Europe. The first record of this name in English is in a book published in 1577 and spelled Giapan, in a translation of a 1565 letter written by a Portuguese Jesuit Luís Fróis. Japan first appears in written history in the Chinese Book of Han. 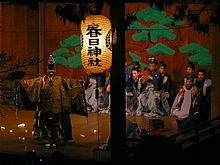 According to the Records of the Three Kingdoms, the most powerful kingdom on the archipelago during the third century was called Yamataikoku. 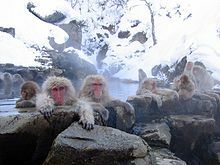 Buddhism was introduced to Japan from Baekje, Korea and was promoted by Prince Shōtoku, but the subsequent development of Japanese Buddhism was primarily influenced by China. Despite early resistance, Buddhism was promoted by the ruling class and gained widespread acceptance beginning in the Asuka period (592–710). Due to the defeat in Battle of Baekgang by Chinese Tang empire, Japanese government devised and implemented the far-reaching Taika Reforms. The Reform began with land reform, based on Confucian ideas and philosophies from China. It nationalized all land in Japan, to be distributed equally among cultivators, and ordered the compilation of a household registry as the basis for a new system of taxation. The true aim of the reforms was to bring about greater centralization and to enhance the power of the imperial court, which was also based on the governmental structure of China. Envoys and students were dispatched to China to learn seemingly everything from the Chinese writing system, literature, religion, and architecture, to even dietary habits at this time. 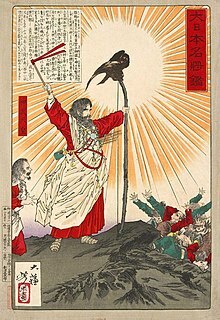 Even today, the impact of the reforms can still be seen in Japanese cultural life.After the reforms, the Jinshin War of 672, a bloody conflict between Prince Ōama and his nephew Prince Ōtomo, two rivals to the throne, became a major catalyst for further administrative reforms. 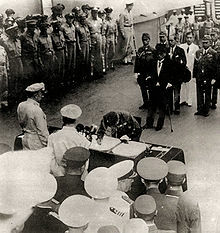 These reforms culminated with the promulgation of the Taihō Code, which consolidated existing statutes and established the structure of the central government and its subordinate local governments. These legal reforms created the ritsuryō state, a system of Chinese-style centralized government that remained in place for half a millennium. 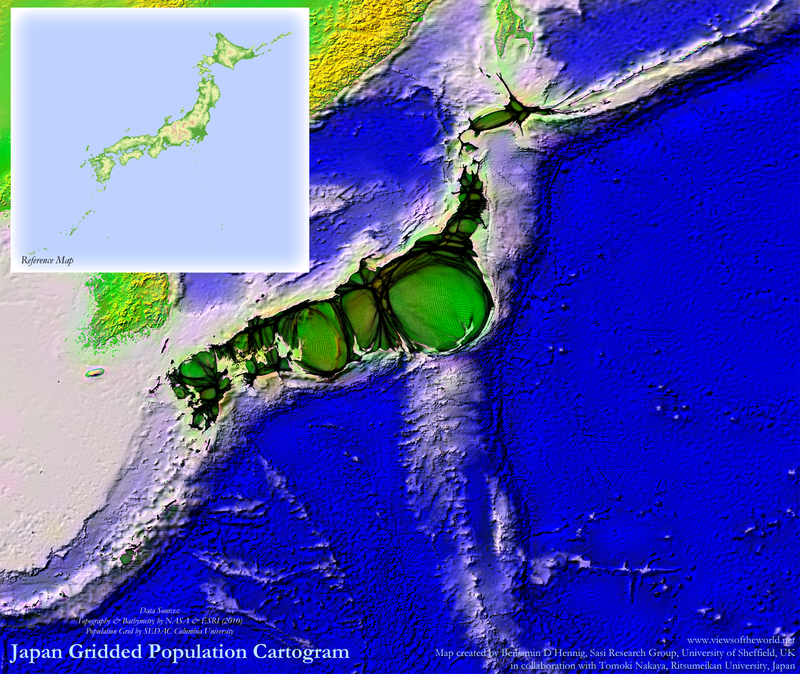 Approximately 0.5% of Japan's total area is reclaimed land (umetatechi). It began in the 12th century. Late 20th and early 21st century projects include artificial islands such as Chubu Centrair International Airport in Ise Bay, Kansai International Airport in the middle of Osaka Bay, Yokohama Hakkeijima Sea Paradise and Wakayama Marina City. The village of Ogata in Akita, Japan, was established on land reclaimed from Lake Hachirogata starting in 1957. By 1977, the amount of land reclaimed totaled 172.03 km2 (66.42 sq mi). The Isahaya Bay reclamation project (諫早湾干拓事業) in Isahaya, Nagasaki started in 1989 and a total of 35 km2 (14 sq mi) has been reclaimed as of 2018. Japanese cuisine is based on combining staple foods, typically Japanese rice or noodles, with a soup and okazu – dishes made from fish, vegetable, tofu and the like – to add flavor to the staple food. 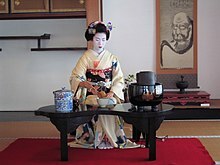 In the early modern era ingredients such as red meats that had previously not been widely used in Japan were introduced. 1 2 O'Sullivan, Michael; Subramanian, Krithika (October 17, 2015). The End of Globalization or a more Multipolar World? (Report). Credit Suisse AG. Retrieved July 14, 2017. ↑ "121 AD: Wakoku, The Land Of The Submissive Dwarf People?". January 6, 2012. Retrieved January 29, 2017. ↑ Frédéric, Louis (2002). Japan Encyclopedia. The Belknap Press of Harvard University Press. p. 143. ISBN 978-0-674-00770-3. Retrieved January 29, 2017. ↑ Kitagawa, Joseph Mitsuo (1987). On Understanding Japanese Religion. Princeton University Press. p. 145. ISBN 978-0-691-10229-0. Retrieved July 28, 2018. emphasis on the undisrupted chronological continuity from myths to legends and from legends to history, it is difficult to determine where one ends and the next begins. At any rate, the first ten legendary emperors are clearly not reliable historical records. ↑ Otake, Tomoko (January 19, 2016). "Visitors to Japan surge to record 19.73 million, spend all-time high ¥3.48 trillion". The Japan Times Online – via Japan Times Online. ↑ Otake, Tomoko (January 29, 2017). "Number of foreign visitors to Japan tops 20 million mark for first time". The Japan Times Online – via Japan Times Online. ↑ "Forest area". The World Bank Group. Retrieved October 11, 2015. ↑ 地形分類 (PDF). 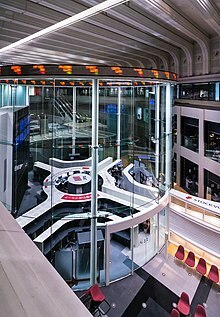 Geospatial Information Authority of Japan. Retrieved October 14, 2015. 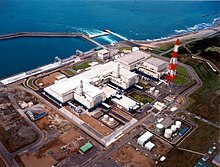 ↑ "Japan – Places in the News". www.loc.gov. Library of Congress. Retrieved January 30, 2017. ↑ 平成22年国勢調査最終報告書 人口の地域分布 (PDF). The Ministry of Internal Affairs and Communications Statistics Bureau. Retrieved October 14, 2015. ↑ "Table 2.10 Population of Three Major Metropolitan Areas". Statistics Bureau of Japan. Retrieved November 26, 2013.